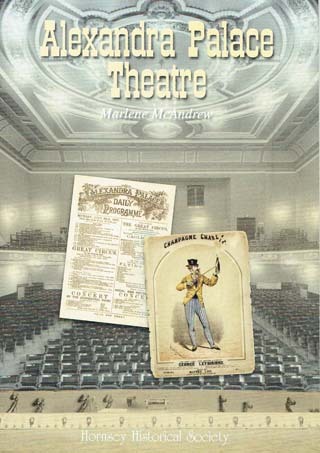 Focusing on this fascinating part of Alexandra Palace, currently undergoing major restoration, this booklet is an updated chapter from Marlene McAndrew’s, Lost Theatres of Haringey (2007). The author tells the story of this popular Victorian theatre and describes its decline from the First World War onwards and the high hopes for the theatre’s resurrection with a 2013 Heritage Lottery Fund bid. Marlene McAndrew was born in Spitalfields, raised in Stoke Newington and she has lived her adult life in Tottenham. She was taken to theatres from childhood and she has performed in skiffle and folksong groups in theatres. She now gives talks on theatre history.